Imagine flying to Europe for your first big job, but instead of things going as planned, you end up bartending in Paris’s red light district to make ends meet. Or imagine setting up at your first boutique show, but being so nervous that you forgot to price your wares and you can’t even speak to customers. These are just 2 examples of obstacles overcome by incredible women on their paths to creative fulfillment. 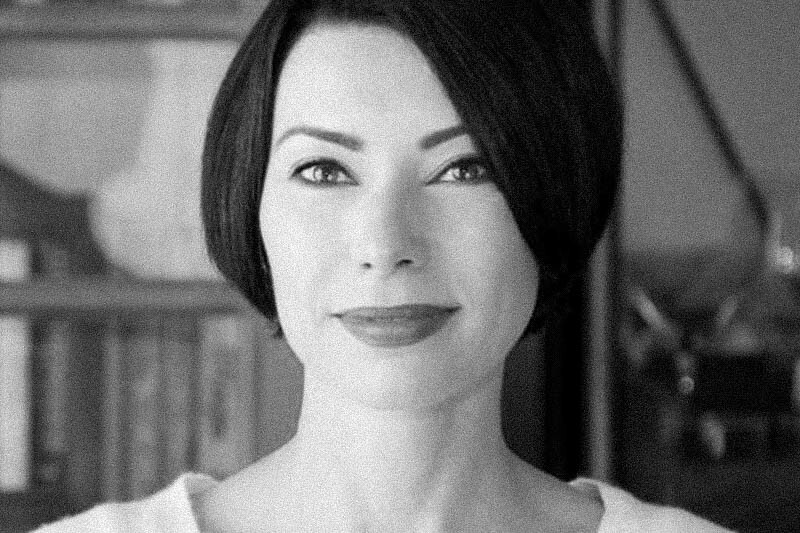 The first is the heroine’s journey of Andrea Mallard, who eventually became lead brand designer at top design firm IDEO before joining one of the world’s most innovative health startups. 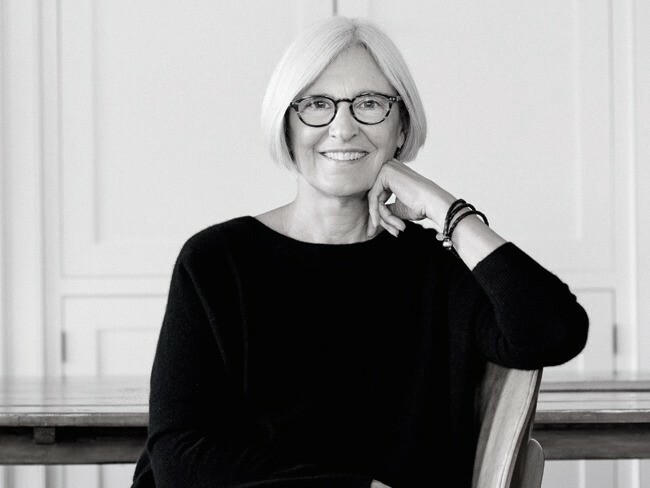 And the second is fashion icon, designer, and mogul Eileen Fisher, who spent many years learning to reclaim her voice and lean into difficult conversations in order to lead. Contrary to popular belief, the road to success is not paved with roses, but with grit and a lot of trial and error. Heroine is a new podcast that features such journeys of women creative leaders (with a special focus on women in design and tech) who do extraordinary things because they embrace the unknown. I started the podcast to help debunk the myth of overnight success while showing there’s more than one way to for female creative professionals to become leaders in their fields. 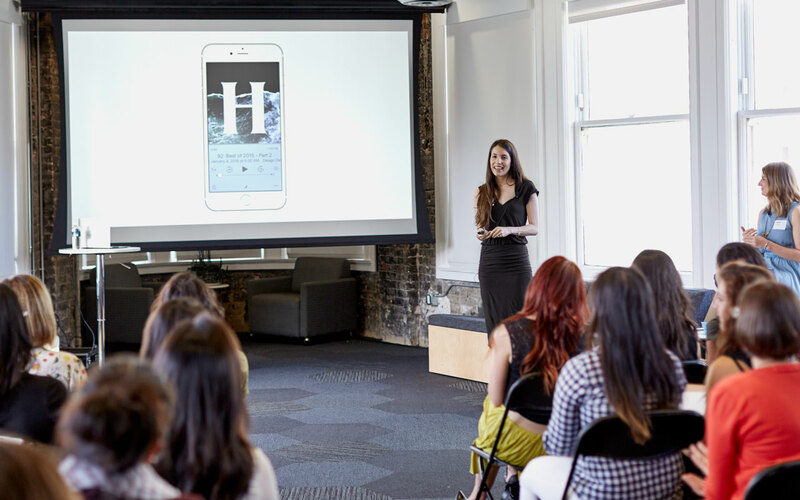 Maria José Molfino announcing Heroine at Medium Headquarters in San Francisco. Photo by Melanie Riccardi. Since launching in April, I’ve had the pleasure of chatting with a wide range of creative women leaders—illustrators, painters, fashion designers, UX designers, brand designers, photographers, founders, and many more. Here are excerpts and quotes from 7 of our most inspiring interviews, including design star Jessica Hische, as well as artist and author Elle Luna who will be doing a live Q&A at our first live event in San Francisco on 10/27. 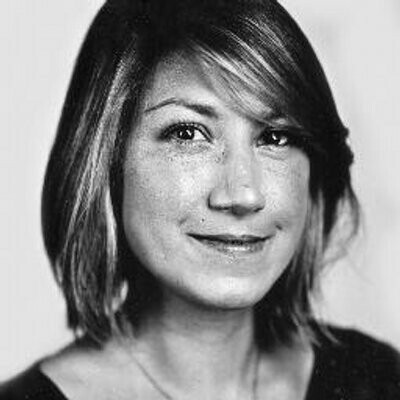 Years ago, Heroine’s host invited illustrator and letterer Jessica Hische to speak at the first Women In Design event. She blew everyone away with her humor, honest vulnerability, and passion for her work. Jessica is a lecturer, illustrator, and type designer—hands down one of the most important designers living amongst us in our generation today. 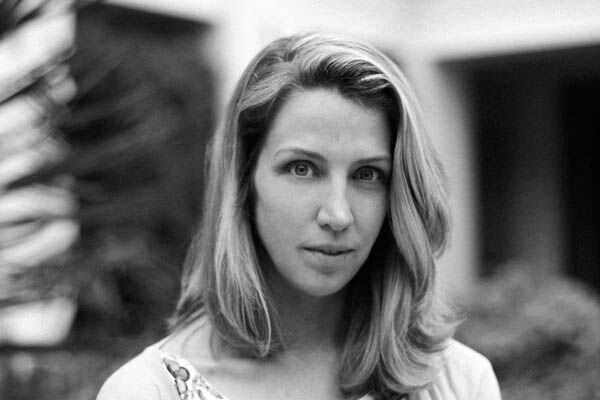 Her clients include Wes Anderson, Dave Eggers, Penguin Books, The New York Times, Tiffany & Co.—the list goes on and on. If you’re an artist working to hone your expertise, you want to hear some tips on growing your business, or you’re simply interested in Jessica’s process and progress in becoming one of the most notable creatives in her field, this episode is for you. Jessica: It was basically a billion dollars to me at the time. I think it was more than what I sold my car for. Subscribe and listen to Jessica’s interview. 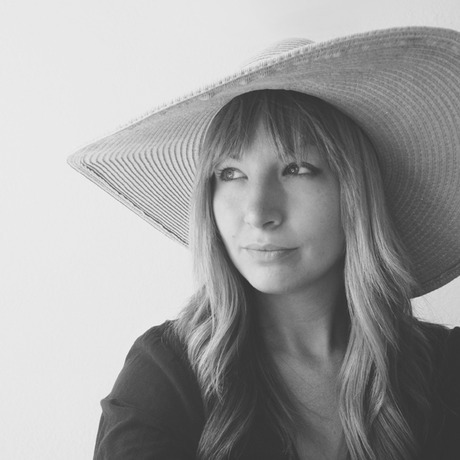 Elle Luna is a San Francisco-based artist and the author of The Crossroads of Should and Must: Find and Follow Your Passion. She and Maria José tackle some big things in her interview (also featuring Susie Herrick), the biggest being inner misogyny. Elle freely shares the challenges she’s faced, how to know when you’re following expectations versus your deeper calling, and the expansive power of dreaming bigger. Whether you’re a woman or a man, regardless of your background, what shoulds imprison you? What shoulds keep you confined to some idea or understanding of who you should or shouldn’t be? Subscribe and listen to Elle’s interview. A big piece of the heroine’s journey is reclaiming what’s been lost. For some of us, it’s our intuition, our creativity, or our sense of self trust. For fashion designer Eileen Fisher, it’s been her voice and her courage to lean into difficult conversations. This design magnate has scaled an incredible organization that generates over $300 million a year in revenue, but she didn’t have an easy start or a path paved with roses. 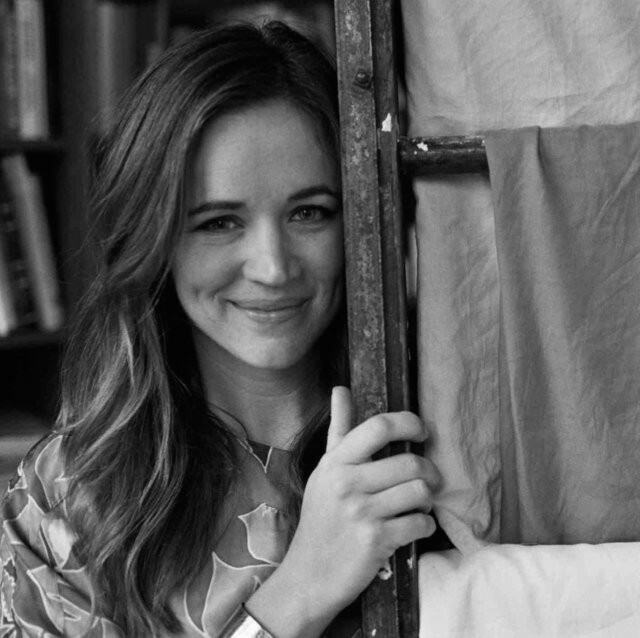 What makes her shine even more is her passion for sustainability, empowering women, and living life with purpose. In her interview you’ll learn the conditions she’s created for her success, her thoughts on purpose and embodiment, and the principles that guide her leadership today. Eileen: I ended up putting together my first 4 pieces in 3 colors, so I had 12 pieces. I literally had no money—it was amazing how I did this. That first day at the boutique show I was so terrified I just hung up the garments and I couldn’t even speak. And I had forgotten to price them! Hadn’t even thought about it. Then people starting asking me what they cost and I didn’t actually know! So I said, “Come back tomorrow” [Laughs]. Other people around helped me, other designers, buyers even helped me think out how to price them. It was very sweet. But I did sell to a small number of stores, tiny little orders, which was actually really good because then I could learn how to do things without making huge mistakes. I learned a lot. Maria: At this time that you were doing that and experimenting and basically saying, “Hey let me just try this,” did you have self-doubts? Subscribe and listen to Eileen’s interview. 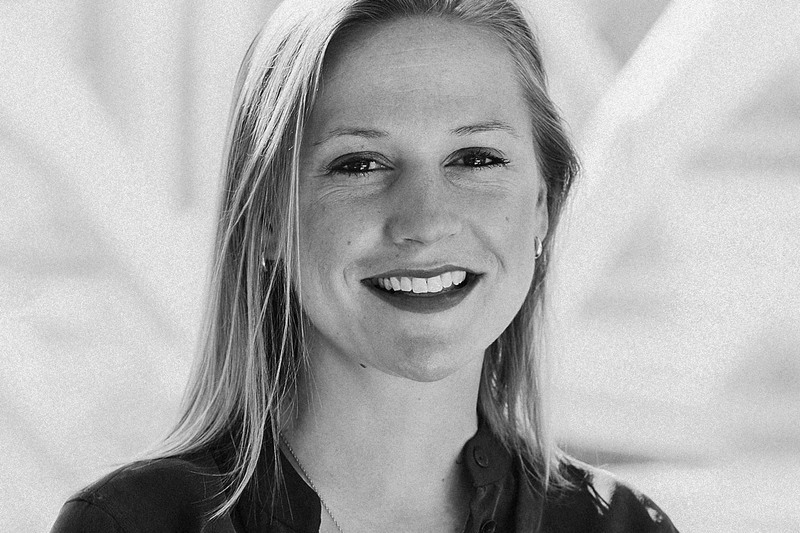 Katie Dill, Head of User Experience Design at Airbnb, has a creative background that’s far from typical. So how did she land her dream job at a company centered around creating unique experiences for their users? Katie shares all about her journey, which often required her to step outside her comfort zone, and how she found her niche. She shares the specific ingredients designers have that are useful to leaders, tips for handling growing pains and tough feedback, and her wisdom on the relationship between luck and creating opportunities. Katie: I realized that you can actually gain a lot by going outside your comfort zone and exploring new places. Traveling changed me in a number of ways, including the fact that I continued to travel. Maria: Which is fitting now that you’re at Airbnb. Katie: Oh yeah, absolutely. I mean, it’s one of the reasons I wanted to go there. From that experience and subsequent ones of traveling and living in other parts of the world, I realized the value of going to another place and really being there, not just visiting. This might sound grandiose, especially ’cause I work at Airbnb, but I do feel that’s what Airbnb is doing. They’re helping people travel in a very different way, where you can live like a local. It’s actually breaking down cultural barriers, helping open people’s eyes and minds to other people in the world and see that there’s really less difference than they thought. There’s more commonality. And there’s more value in getting to know each other better. Subscribe and listen to Katie’s interview. Imagine graduating from college and flying to Europe for your first job as a journalist. Instead of things going as planned, you end up bartending in Paris’s red light district to survive. That’s Andrea Mallard’s “fall from grace” story, but it’s not where her story ends. From making friends with the head pimp on the street to becoming Chief Marketing Officer at Omada Health, Andrea’s journey is filled with personal insights about finding the creative confidence to lead on your own terms. Andrea: I was hugely under-qualified, but I realized that everyone around me was just as unqualified. Only they didn’t feel the lack of confidence like I did. So I needed to get confident fast. That same week I reached out to Chris Anderson, who was the then Editor-In-Chief at Wired Magazine. I don’t think he realizes the impact he’s had on my career. I just admired his work, I admired Wired, I wanted to learn from him and so he took me out for dinner. And he told me that even he felt like an imposter. Andrea: So here he is, probably in his late 30s, early 40s at the time, heading a hugely successful magazine that was iconic and culturally relevant, and even he had moments of complete self-doubt, where he felt like a fraud. Maria: Yeah, I don’t think people realize this, that people in leadership, people who are high up feel like imposters, feel like frauds themselves. Subscribe and listen to Andrea’s interview. Do you have a creative passion you never imagined could pay the bills? Helena Price found a way to make it work by rekindling a lifelong love for photography. In the last 2 years her work has skyrocketed and she was named Silicon Valley’s Most Wanted Photographer. Helena shares what it takes to make the leap into becoming a full-time creative, advice on how to get more creative expression in your life, plus some surprising ingredients for success. Maria: Do you have any thoughts for any of the women listening, who may be working full-time in tech, design, arts, or business, thinking, I want more creative expression in my life, I want to give that expression, but I’m feeling held back? Helena: What worked best for me was to stop overthinking things. And to stop worrying about the constraints you have that aren’t really constraints. Things like time, or having a full-time job, or resources, and just focus on getting into the habit of being generative when you’re not working. So maybe you have a full-time job—keep doing it. Think of your job now as the funding for your other work and then you’ll have a better relationship with that job. Just focus on the positives. Learn as much as you can. You just have to get in the habit of making stuff, and not being so scared about getting started, or overthinking what your final product is gonna look like or what your creative identity is gonna be, because you have no idea. You just have to spew out thousands of prototypes and then at that point you can start picking and choosing which from those you like. Subscribe and listen to Helena’s interview. Sofya Polyakov, CEO and Co-founder of The Noun Project, inspires us through her heroine’s journey, which includes immigrating to the US from Russia, working insane hours, holding meetings out of her car, and having the courage to embrace the unknown by starting a company for the first time. One of her most motivational shares is her perspective on key issues that commonly block us from reaching our full potential as creative leaders. Sofya: We had no experience, and I think that the best way to learn is to just jump in and force yourself to sink or swim. And most of the time I think you’re going to swim. You’ll figure it out, and that’s what I like to tell all the people on my team as well is that a lot of times people will be afraid to make the leap into the unknown and to take the next challenge. And I think that unfortunately, just from my own experience, I think that women have a tendency to do this more often than men, to question themselves and to think, Well, I don’t have exactly the right experience for this so maybe I just shouldn’t do it. I’ve told my employees before that that is the number one reason to do something. If you don’t have the experience, do it anyway , because really the only way you’re going to grow is by challenging yourself. If you’re just going to do something that you know how to do you’re never going to make it to the next level. Just make it a point to always do something that scares you and to take that step. Subscribe and listen to Sofya’s interview. If any of these amazing women pique your interest, check out their full interviews and collect all the gems they have to offer. In listening to their journeys, you’ll see that you’re more similar to them than you think. Join us for the first Heroine Live! event this month! Come celebrate and support women’s voices on 10/27. Speakers, live music, food, amazing people and special guests. Can’t make it? You can still make a contribution to help amplify women’s voices in 2017 and beyond. Maria José ("Majo") Molfino is a writer, speaker, and women’s creative leadership coach. With a Masters in Design from Stanford, she supports women in becoming better, more resilient creative leaders at top companies such as Facebook, Twitter, Airbnb, and IDEO. Her work has been highlighted in FastCoDesign, The Huffington Post, Medium, and LinkedIn. She is also the host of Heroine—a podcast featuring the journeys of top creative women leaders and risk-takers. When she isn’t writing, coaching, or podcasting, she’s sipping on tea and writing poems in the Redwoods.